Complete this to get a sweet Marshmello-themed pickaxe. Two new Showtime challenges surprisingly went live this morning in Fortnite: Battle Royale after only one task became available yesterday. 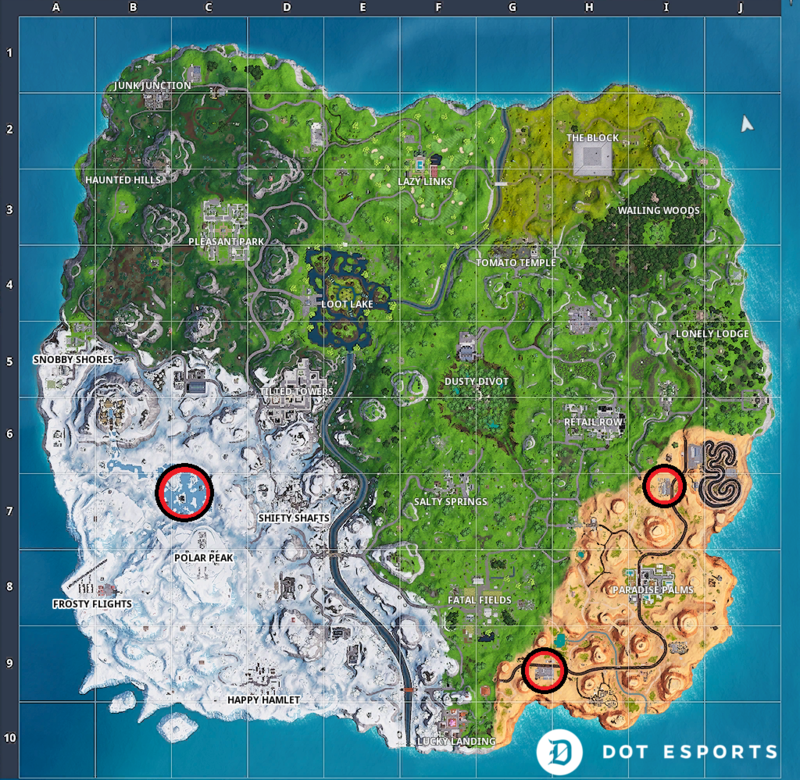 The third and final Showtime challenge asks you to “use Keep it Mello at a trucker’s oasis, ice cream parlor, and a frozen lake.” In order to complete this challenge, however, you’ll need to finish the second Showtime task, where you simply need to visit the Showtime venue. Once you’ve completed the second task, you’ll unlock the Keep it Mello emote, which is the dance move you’ll need to equip and use for this third challenge. Here’s where you’ll need to go to finish the third and final Showtime challenge. 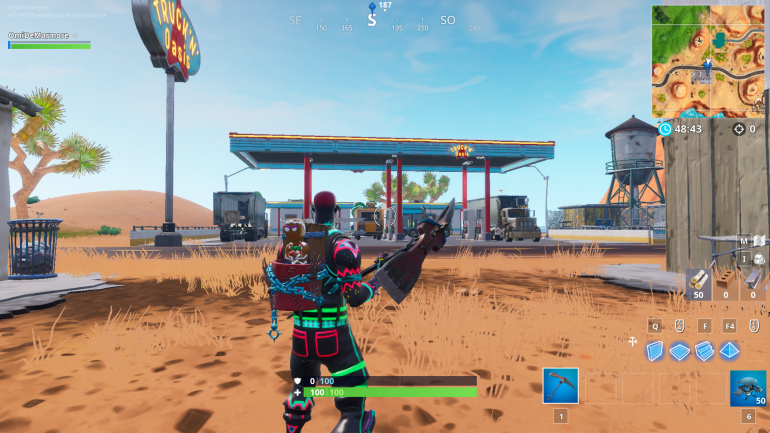 First, head to the gas station in the southwest corner of the desert area of the map. Simply use the Keep it Mello emote at the trucker’s oasis and then move on to the next step. 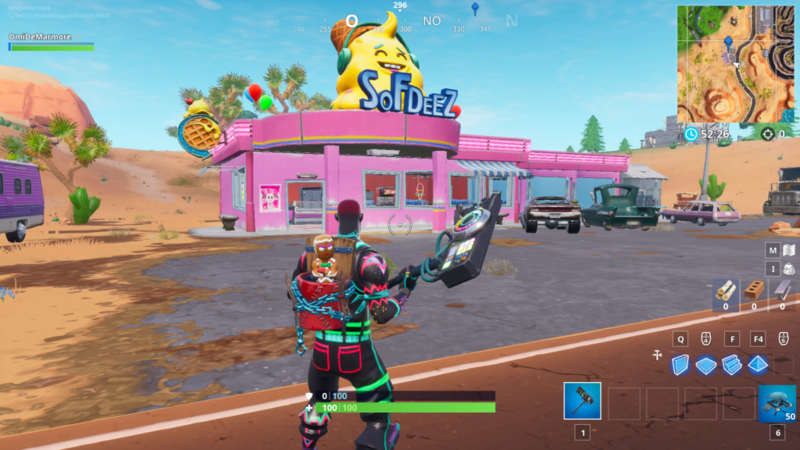 You can also find the ice cream parlor in the desert area of the map. This location, though, is in the northern portion of the biome near the racetrack. Once you get your groove on at the ice cream parlor, you can leave the desert biome and head to the frozen tundra on the other side of the map. 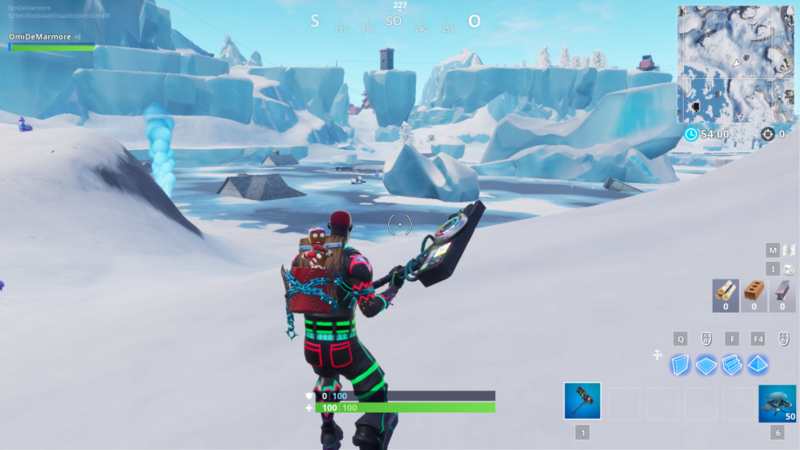 If you don’t already know where the frozen lake is, it’s north of Polar Peak and southeast of Viking Village. 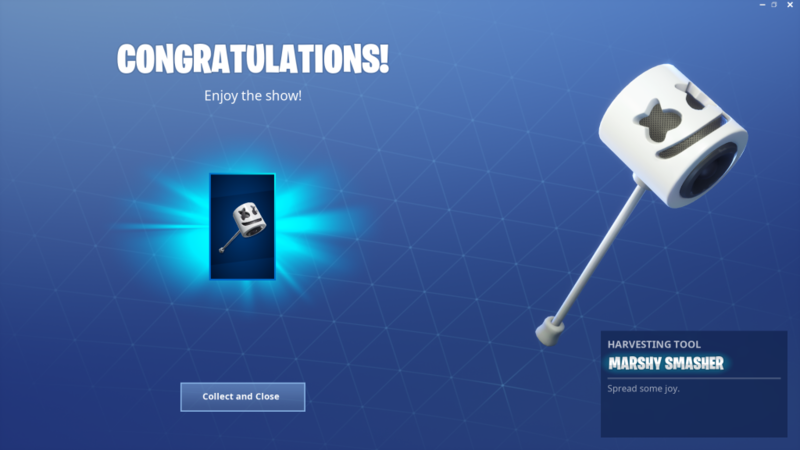 After you dance in all three locations, you’ll unlock this awesome Marshmello-themed pickaxe.